Mineral Name: 1. Talcum; 2. Hydrous magnesium silicate. Common Name: Talc, Talcum, Talc powder. 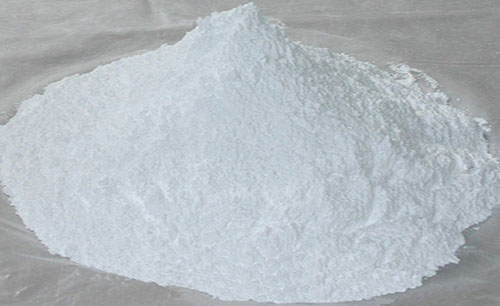 Pulvis Talci is a mineral of silicate that contains mainly hydrated magnesium silicate, chiefly found in the provinces of Shan Dong, Jiang Xi, Jiang Su, and Shan Xi. It is mined and cleaned, then ground into powder or refined with water for use. Properties & Taste: Sweet or no taste and cold. Meridians: Stomach and urinary bladder. Functions: 1. To promote water metabolism and relieve abnormal urination; 2. To clear heat and release summer-heat. 1. Damp-heat in the urinary bladder manifested as painful urination, urgency of micturition, frequent urination, lower abdominal distention and fever. Talc (Huashi) is used with Clematis stem (Mutong), Plantain seed (Cheqianzi), Common knotgrass (Bianxu) and Capejasmine (Zhizi) in the formula Bazheng San. 2. Boils, eczema, miliaria and skin diseases. Talc (Huashi) is used with Gypsum (Shigao) and Calamine Colamina (Luganshi) externally. 3. Summer-heat and dampness syndrome manifested as thirst, stifling sensation in the chest, vomiting and diarrhea. Talc (Huashi) is used with Licorice root (Gancao) in the formula Liu Yi San. Dosage: 10-15 g, decocted in water for an oral dose. Appropriate quantity for external use.